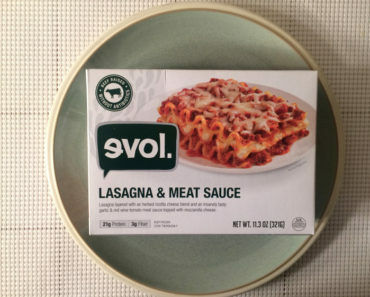 Freezer Meal Frenzy has been reviewing frozen burritos for a long time, and Evol was one of the first brands we started reviewing. In fact, their Sriracha Chicken Big Burrito has long been a Freezer Meal Frenzy favorite. 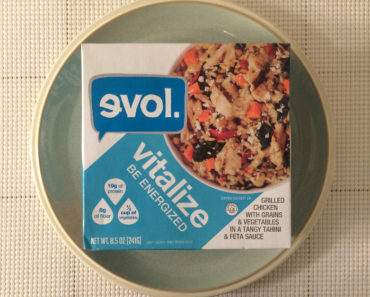 So we always get excited when we discover new burritos in the Evol lineup. 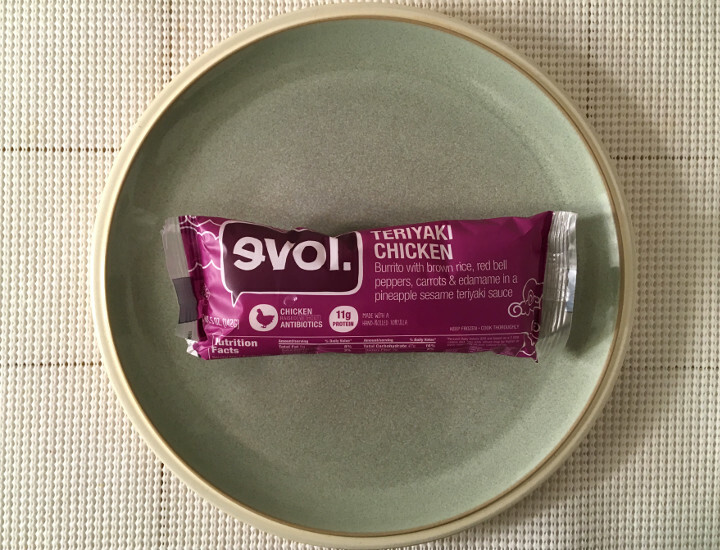 We recently picked up the Evol Teriyaki Chicken Burrito, and we’re excited to dig in. 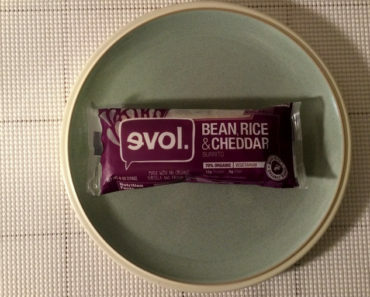 When it comes to Evol burritos, we have our cooking method down to a science. First, we let the burrito thaw overnight. Then we preheat the oven to 350 degrees fahrenheit, wrap the burrito in aluminum foil, and stick it in the oven for about 45 minutes. We flip it over about halfway through the process. Out comes a toasty burrito that avoids many of the sogginess problems than can plague microwaved food. Now, a teriyaki-style burrito is a bit of an outlier in the frozen food section, but that doesn’t mean we’ve never tried anything like it. Sweet Earth makes the Kyoto Burrito and Amy’s Kitchen makes a Teriyaki Wrap. 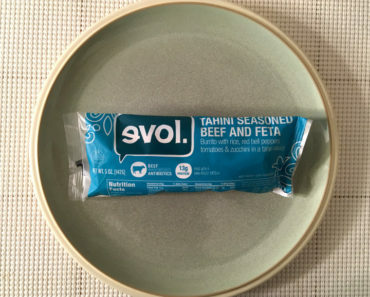 Both of these are good options for vegetarians, but Evol has your back if you want some meat in your teriyaki burrito. First off, we must admit that this burrito has no shortage of flavor. Every bite is loaded with that sweet pineapple teriyaki goodness. On top of giving it tons of flavor, the teriyaki sauce also converts the brown rice portion into more of a sticky rice, giving this a nice tacky consistency that really works for an Asian-inspired burrito. In fact, it reminds us a bit of a good spring roll. 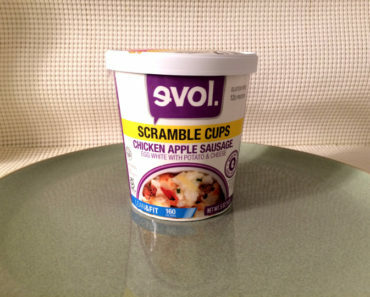 We were pleasantly surprised at how much chicken Evol managed to pack inside this thing. 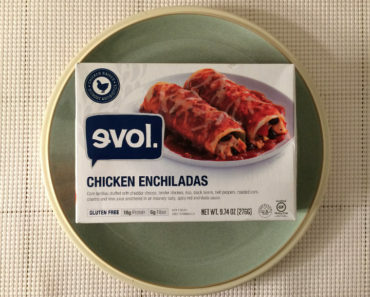 While Evol often goes light on the meat content, this burrito has loads of chicken chunks. There’s also some edamame, carrots, and bell peppers, but the real bulk of this burrito is the chicken, rice, and teriyaki sauce. This has 280 calories (50 from fat), which doesn’t seem bad at first glance. However, this burrito isn’t very filling, so you’ll probably find yourself grabbing a second burrito or something else to finish filling up that tummy. That makes the 280 calories seem far less appealing. 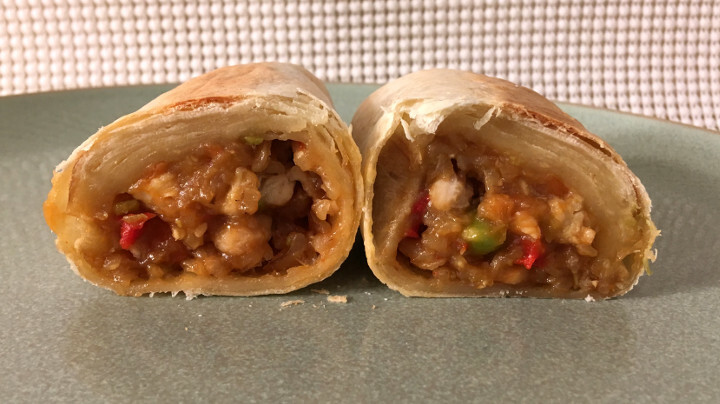 The Evol Teriyaki Chicken Burrito is a great meal for anyone looking for a burrito that has some Asian-style zing. It tastes great; it’s just not quite as filling as we’d like it to be. To learn more about the nutrition content or ingredients in the Evol Teriyaki Chicken Burrito, check out our package scan below.